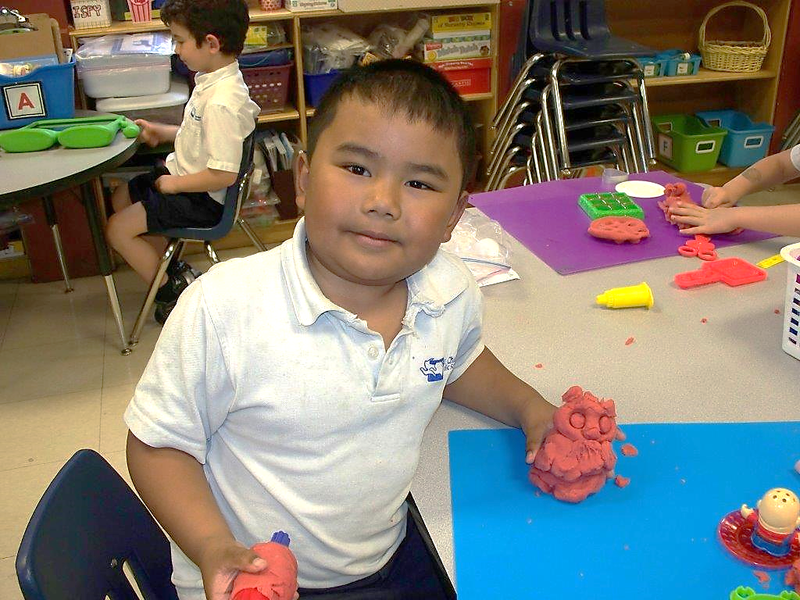 During Kindergarten Choice time, students can opt to create play-doh sculptures. This budding artist included a significant amount of detail on his sculpture. This entry was tagged kindergarten. Bookmark the permalink.